After months of seeing their favorite shows take some major hits, it seems that for at least fans of The Young & the Restless, there is a casting bright spot. 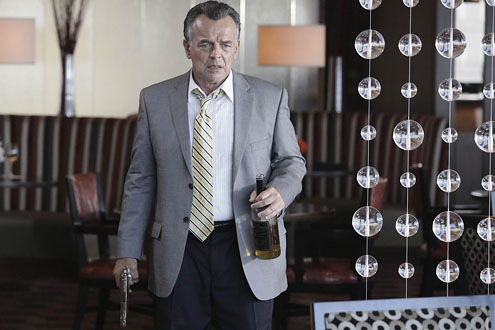 Television veteran, Ray Wise has just been cast as Ian Ward, a man with some sinister ties to Nikki’s illustrious past. According to Soap Opera Digest, Ian is a cult leader connected to the New World Commune, a group that Nikki was involved with 30 tears ago. Viewers were recently introduced to her onscreen son that was born while she was tangled with the cult. It’ll be interesting to see how Ian will factor in to this new storyline. Bringing Wise in might be a bit of casting genius because he is such a well-known character outside of daytime television. You may recognize Wise’s distinctive eyes from shows such as Mad Men, Twin Peaks, Star Trek Voyager or movies like RoboCop. So why is he ready to take a recurring role in daytime? My guess is that he is looking forward to the grind of working daily on a soap. Rumor has it that while Ian is to be seen on a recurring basis, this storyline is about to get major play. Y&R hasn’t been doing so great in the ratings since Jill Farren Phelps took over and some of her casting changes have alienated longtime fans. Do you think that this casting will sit well or are the diehard fans going to wish that she brought in a legendary soap actor instead? Tell us your thoughts in the comments below! The Young and the Restless Faces Soap Opera Massacre!